Guest Comic By Jon Esparza – DairyBoy Comics! And last but certainly not least is Jon Esparza! Jon does the web-comic “Mike and Mindy”, a web-comic about two rowdy kids and all their crazy shenanigans! 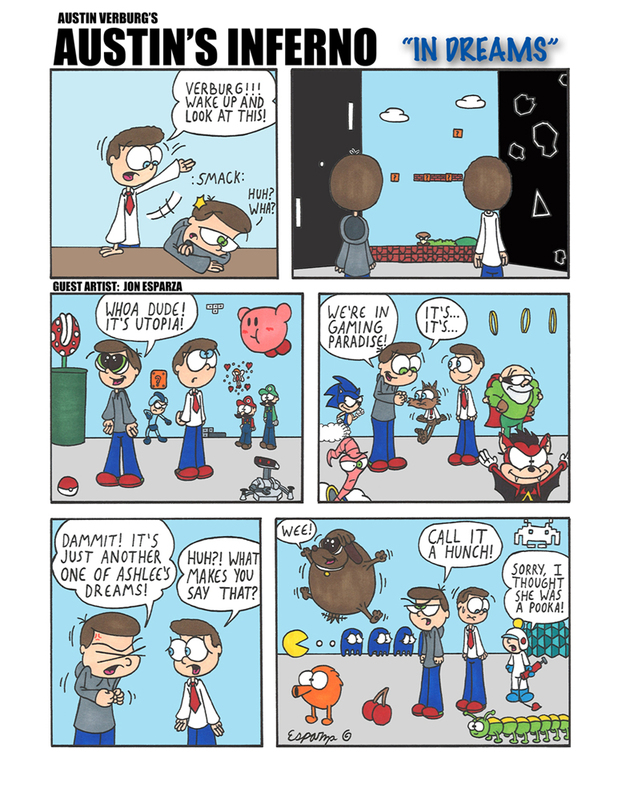 Along with this, Jon blogs about comic stuff and puts together group projects for other web-comic artists to participate in, such as the Crazy Cartoon Experiment which we’ve seen my entries for haha in fact, this very guest comic is a reference to my first entry, viewable HERE! As for Jon’s stuff, you can read his comics and blog HERE and follow his twitter HERE! I’ve personally thanked every one of the guest artists a few times but a few more times couldn’t possibly hurt! With my week off from comic making I’ve managed to accomplish everything I needed to do, so my own written and drawn comics will resume on Monday! Thanks again for all the help guys! This made me lol. I loved it. it made my day. That said, Tony’s been in more comics than John, wtf guests?